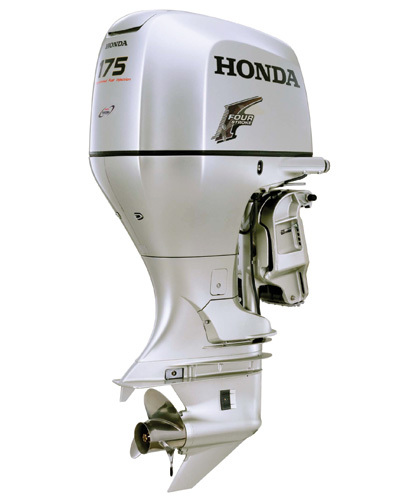 Honda's BF175, the only 175hp four stroke available features a V6, 3.5 litre engine with 24 valve, Multi Point sequential fuel injection. The heart of the BF175 is the Engine Control Module (ECM). It manages all engine functions such as the Variable Air Intake, ignition timing and idling speed. It also pilots the Engine Alert System in case of low oil pressure, over heating, over revving or water contamination in the fuel, for total worry free operation.